Let us come to you. The easiest and most convenient way to ensure that you keep your service history up to date and on top of your car repairs is to have everything you need done at home, the office or wherever else you happen to be. 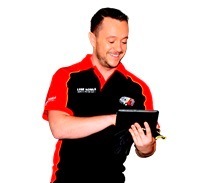 Our mobile mechanics are attending Narellan Vale, Campbelltown, Oran Park and Mount Annan. We are everywhere and everywhen you need us to be. 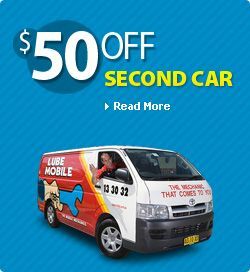 Lubemobile is Australia’s #1 fleet of mechanics servicing and repairing vehicles all over the country with over 688 vehicles attended to in your local area alone over the last 3 months. Regular vehicle services and jobs around your area have included Log book servicing. Our specialists have what they need to complete a full service and repair at your chosen destination including tyre replacement and specialty tyre related repairs, CV boot replacement and sway bar fitting. Call was answered straight away. Call centre staff were knowledgeable. Mechanic that arrived was lovely and explained what he was going. More expensive than taking to a tyre shop but paying for convenience which I'm happy to do do. Servicing and repairing all makes and models, we arrive where you want us with what we need to get the job done. Holden, Toyota and Mazda are all attended to on site at the best time that suits the vehicle owner, not the mechanic. Cutting out the workshop saves you valuable time and money in travelling and arranging alternative transport for a schedule that fits with your mechanic. In your local area our mechanics have already completed on the spot services and repairs for Toyota, Jeep and Mitsubishi. As a mobile mechanic, your specialist has what they need to complete your vehicle’s repairs and service on time. Using only quality parts like lifters, axle and muffler your repairs are completed on site without the need for follow-ups or trips into the workshop at all. Whether you drive Citroen or Hyundai, our mobile professionals arrive on time and with everything they need to service your vehicle to the very highest professional standards. Our customers enjoy industry leading service standards from friendly mechanics who explain as they go which ensures that you understand what your vehicle needs and how we’re keeping it in top condition. In the last three months our 35 local mechanics been given over 20 positive reviews from our clients in Macarthur.